The Papillon (Continental Toy Spaniel) belongs to the Companion and Toy Dogs in the FCI grouping. 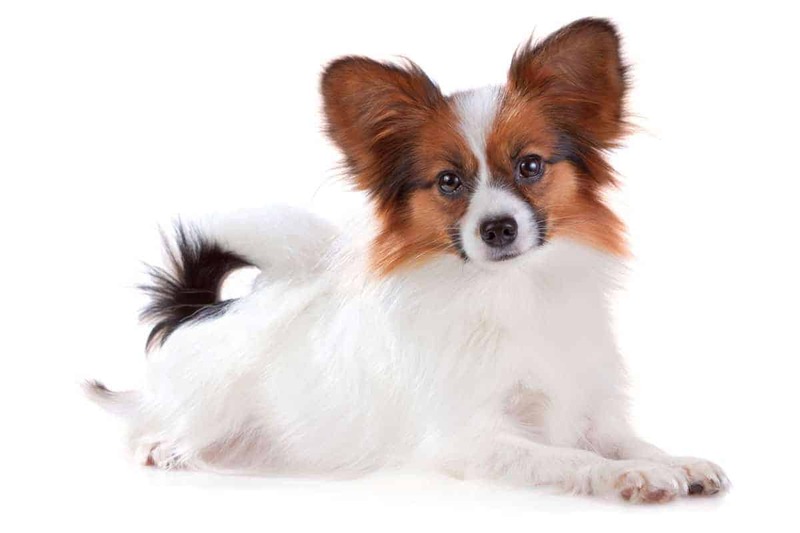 The Papillon (Continental Toy Spaniel) is classified under the Toy group in the AKC grouping. Is the Papillon (Continental Toy Spaniel) allowed as a pet in a Singapore HDB flat? Central Europe, some say France or Spain, 1500s. The breed is related to toy spaniels. Originally known as the Dwarf Spaniel, the dog is often found in European paintings of French and Spanish women. Later renamed the Continental Toy Spaniel and sometimes simply referred to as the Toy Spaniel. Over the years the present day erected ears variant was developed, recognised by the FCI as the Papillon, a variant of the Continental Toy Spaniel (their dropped eared cousins named the Phalene). 'Papillon' means butterfly and 'Phalene' means moth in the French language. Much like the erected fringed ears of the Papillon resemble a butterfly's wings, the Phalene's dropped ears resemble that of the moth. The Papillon has always been a Companion; a lapdog. Devoted, gentle, a “royal” attitude, happy, perky, lively. Lithe, elegant. They desire constant companionship; demand attention and cuddling. Some individuals are timid—look for a dog who does not exhibit this trait. Intolerant of cold. What are some Physical Features of the Papillon (Continental Toy Spaniel)? The Papillon stands between 20 and 28 cm; and weighs about 4 to 4.5 kg. Known for their unique “butterfly” ears, although the Papillon's sibling may have dropped or 'Phalene' ears. ('Phalene' means 'moth' in French.) The Papillon and the Phalene can be born in the same litter. Colour is predominantly white with patches of any other colour; a white blaze is preferred. Long and silky, no undercoat. Short hair on the muzzle and skull, but plenty on the ears, chest and legs. Low maintenance; once or twice a week. Minimal shedding. Because of the single coat, the Papillon has low tolerance for cold temperatures. Papillons generally live between 12 and 15 years. Some examples live to 18 years. Patellar luxation, eye problems, fractures. 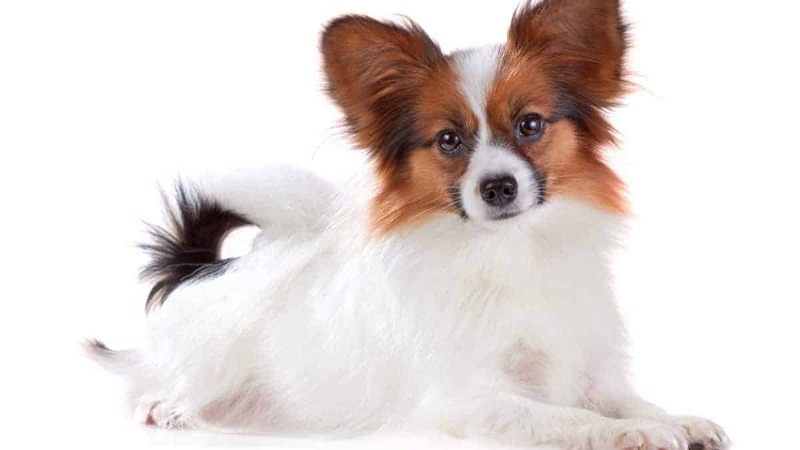 The Papillon is among the breeds known to be sensitive to anaesthesia. Low to moderate; however, the Papillon requires more exercise than many toy breeds. Although play will take care of the Papillon's exercise needs, it does not fulfil their primal instinct to walk. Be sure to walk them daily. Best if you have a fenced in area where they could enjoy a good romp. The Papillon is adaptable to any living situation; enjoys both city and country. Due to his strong guard instinct, the Papillon may have a tendency towards excessive barking, until they are taught to discern casual noises and those that are worth their attention. The Papillon befriends everyone, including strangers. Good with children, but because they are so small, they are not suited for families with toddlers. Be sure to teach young children how to handle small breeds like the Papillon. Good with other pets, including cats if introduced early! If you have multiple pets in the household, do not be surprised if your Papillon bosses around the other bigger dogs. The Papillon is very smart and highly trainable. Needs to be occupied with games and tasks to prevent behaviour issues. Agility, competitive obedience and tricks.